This is the first big thing to check. Be sure you’ve got plenty of antifreeze in your reservoir, and while you’re at it, check your engine coolant levels too. The last thing you want is to get stranded on the road in the middle of a winter storm. Another big item that is sadly too often overlooked are the tires on your vehicle. There are two things to be on the lookout for in particular. First and foremost, check the tread. Most people don’t pay much attention to their tires, but if you’ve got bald patches where the tread should be, then you’re in for a tough go this winter when trying to drive in the treacherous conditions that winter weather brings. 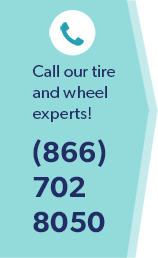 You’ll also want to check your tire pressure to ensure that all four tires are properly inflated. If they aren’t, it pays to know which gas stations near you offer free fill ups via on-site air pumps. Also, if your budget permits, you may want to consider putting on a set of winter tires before the first snow, then swapping them out when the weather turns warm again. You don’t have to make a special trip for this, but the next time you take your vehicle in for an oil change, be sure to use a winter-grade oil. The basic idea is that during the winter months, you want to use a thinner oil. You can determine the viscosity of any given container of oil by taking a look at the first number listed, so, for example, during the winter months, using 5w-30 is a better idea than using 10w-30 oil. Here’s one that not many people think about. Not all windshield wiper fluid is the same. There are special blends for use during the winter months, and if you forget to change yours out, you’ll find the wiper fluid you relied on during the spring and summer to be just about worthless once the weather turns cold, because it will often freeze the second it hits your windshield, making it virtually impossible to see through. Unfortunately, there’s no way that any amount of maintenance will guarantee that there are no wintertime mishaps where your vehicle is concerned, but following these simple tips will certainly help to minimize your risk!